How to say PLEASE in Thai? 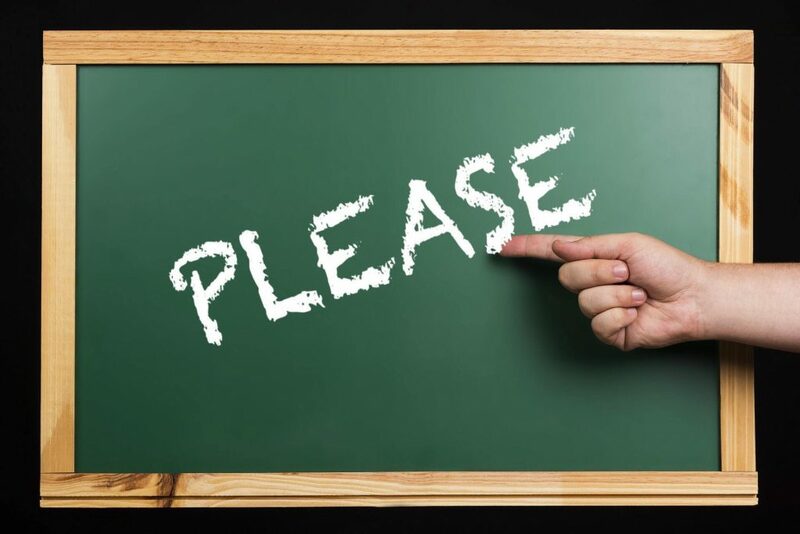 One of the first things you’ll want to know how to say in Thai is how to say please. First off, nobody ever uses ได้โปรด (dai-prod) or กรุณา (karuna) and neither should you. These are very formal and not used in regular conversation. They are used in signs and public announcements. If you are using a book, a school or another course that is telling you to say these things, you are wasting your time. Google is also often wrong. 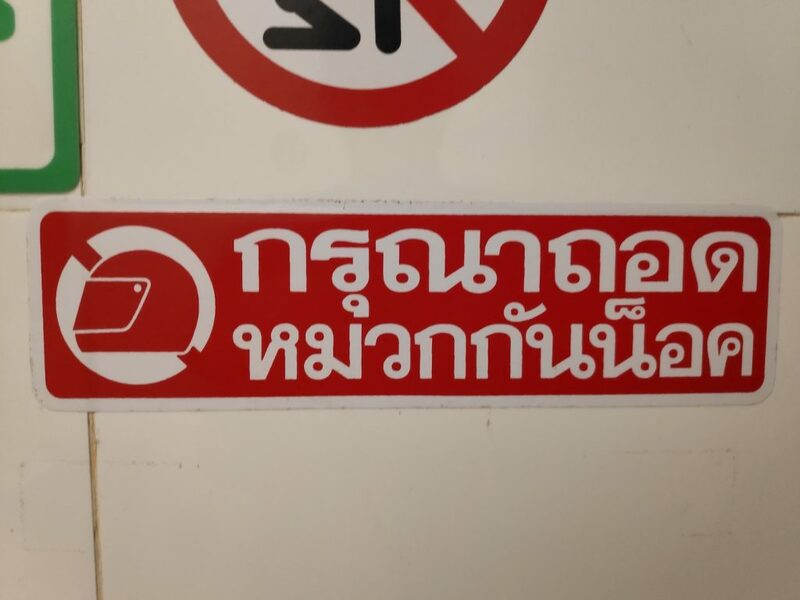 It’s important to note that, Thai people don’t say please and thank you at the same rate or in all the same situations as you might in English. In a many situations, instead of actually saying “thank you,” you just say the polite gender particle (khrap ครับ if you are male + ka ค่ะ if female). *Transliteration for Thai is awful. If you want to ever be able to speak Thai well, you absolutely need to learn the script. As intimidating as it may look, it’s just a bunch of symbols which represent sounds and you can learn it all in 10 or 20 hours. Is it worth a little time to save yourself potentially years of frustration? YES, of course it is. ขอ (something) หน่อย (kɔ̌ɔ something nɔ̀ɔi). *Note that when ordering food/drink or something at a store, it’s perfectly acceptable to just use เอา (ao). In these sentences, the gender particles function as please. You can use the same pattern to ask someone to do a VERB for you by replacing the object above with a VERB. In this case, we usually drop the ขอ (khaw) as the หน่อย already functions as please. When you are asking someone to do a VERB for you, you’ll usually want to add the word ให้ (hâi) after it. ให้ (hâi) means “to give” and when you VERB+GIVE in Thai, it means you are doing the VERB for someone or asking someone to do the VERB for you. เปิดให้หน่อยได้มั้ย (bpə̀ət hâi nɔ̀ɔi dâi mái) can you please open for me? These sentences can be used when asking someone to perform an action for you. เขียนให้หน่อย (kǐan hâi nɔ̀ɔi) Please write (something) for me. ทำให้หน่อย (tam hâi nɔ̀ɔi) Please do (something) for me. ซื้อให้หน่อย (sʉ́ʉ hâi nɔ̀ɔi) Please buy (it) for me. เช็คให้หน่อย (chék hâi nɔ̀ɔi) Please check (it) for me. ดูให้หน่อย (duu hâi nɔ̀ɔi) Pleae look (at it) for me. Here’s a few additional example sentences when requesting things from people in Thai if you want to be extra polite. (chûai nɔ̀ɔi dâi mái + kráp/ka) – Can you please help me? ขอยืมปากกาหน่อยได้มั้ย + ครับ/คะ (kɔ̌ɔ yʉʉm bpàak-gaa nɔ̀ɔi dâi mái + kráp/ka) – Can I please borrow (a/your) pen? (dûai) at the end of phrases like this. ช่วยถอดรองเท้าด้วย (chûai tɔ̀ɔt rɔɔng táao dûai) Please take off your shoes. These are examples you may find on signs or possibly in public announcements, but never in actual conversation. กรุณาถอดรองเท้า (gà-rú-naa tɔ̀ɔt rɔɔng táao) – Please take off your shoes. กรุณาอย่ารบกวน (gà-rú-naa yàa róp guan) – Please do not disturb.